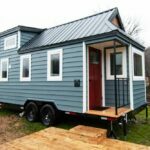 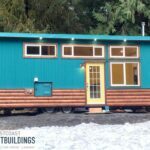 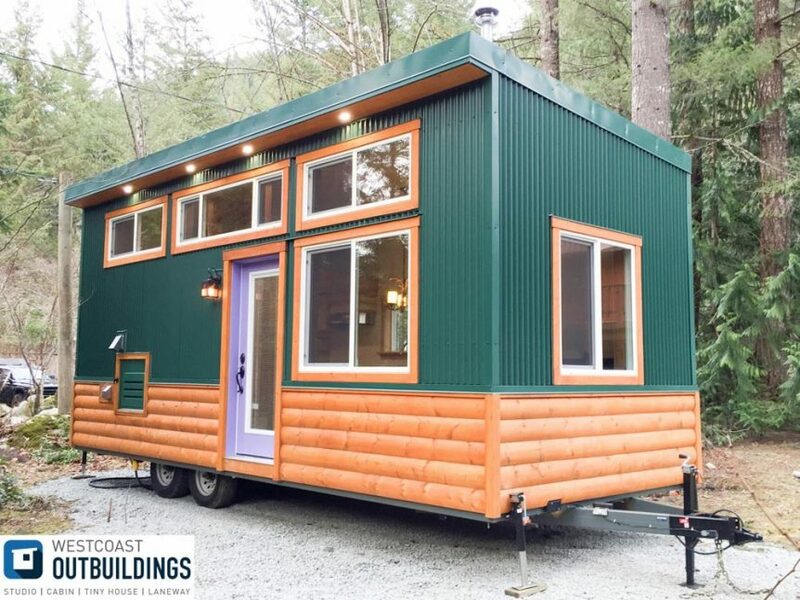 The Skookum is a modern cabin style tiny house built by Westcoast Outbuildings in North Vancouver, British Columbia. 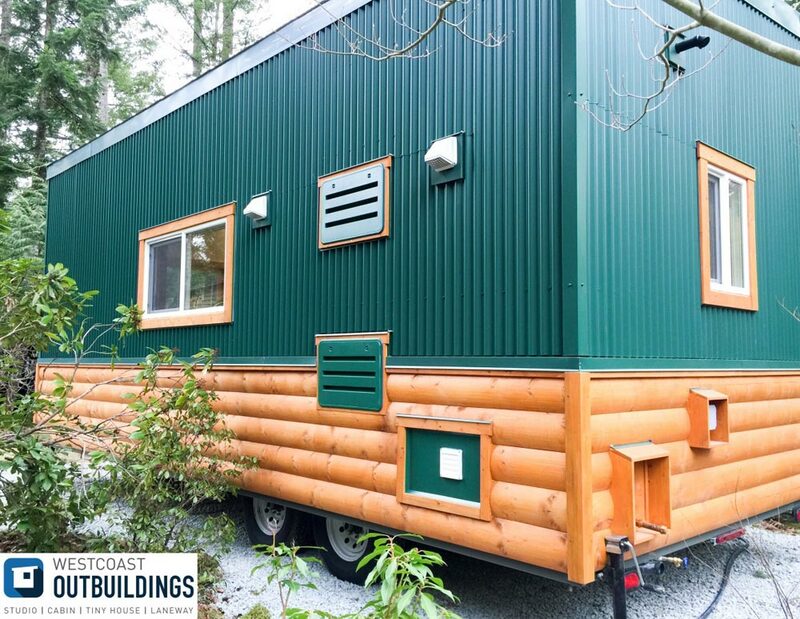 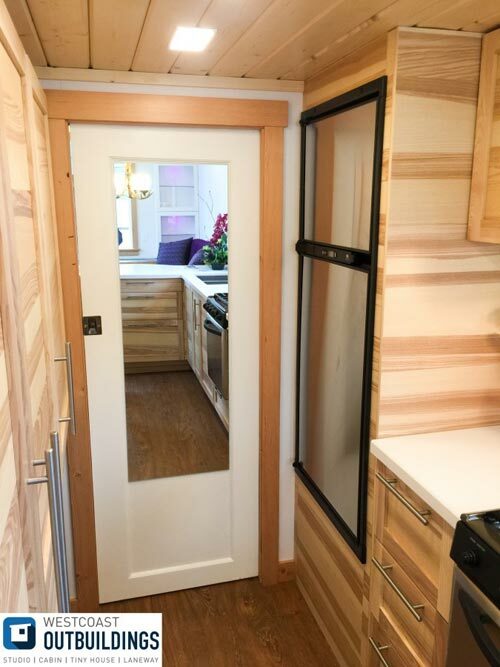 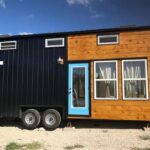 The exterior of the 24′ tiny house is a mix of green corrugated metal and half log siding with wood window trim. 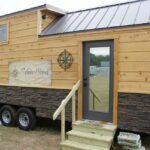 The Galvalume standing seam shed style roof matches the metal siding. 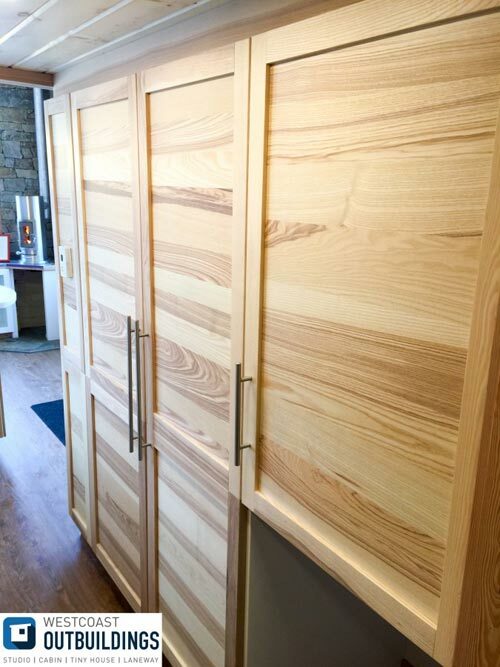 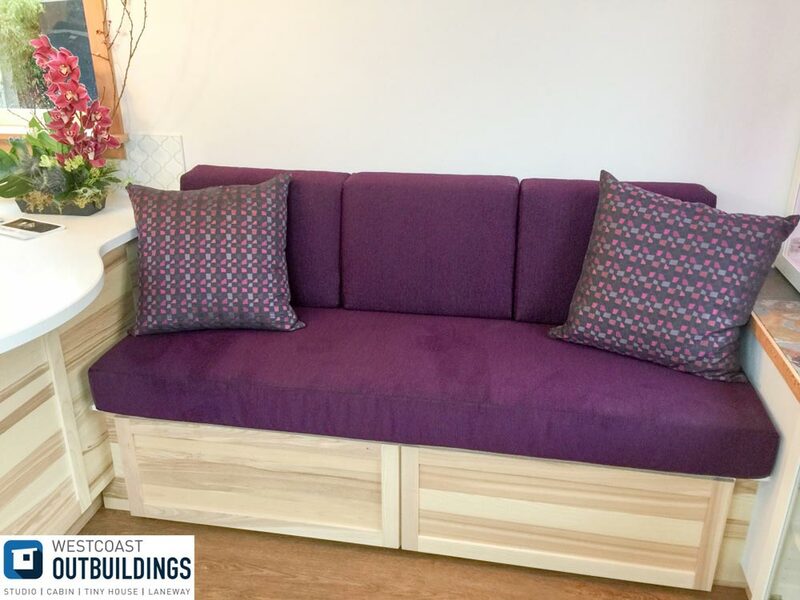 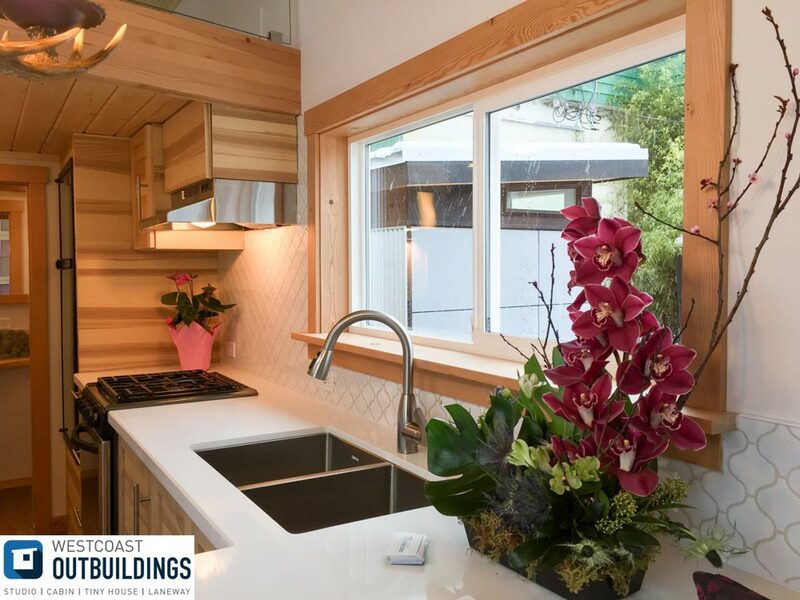 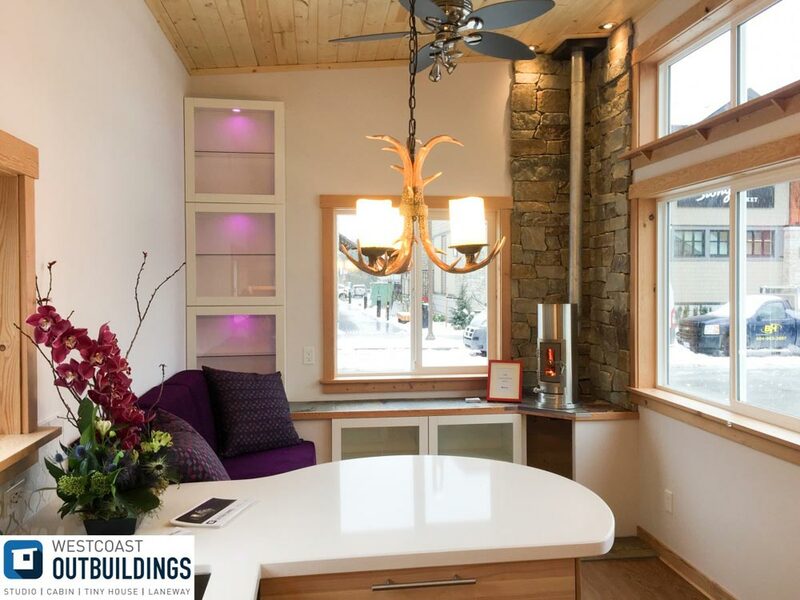 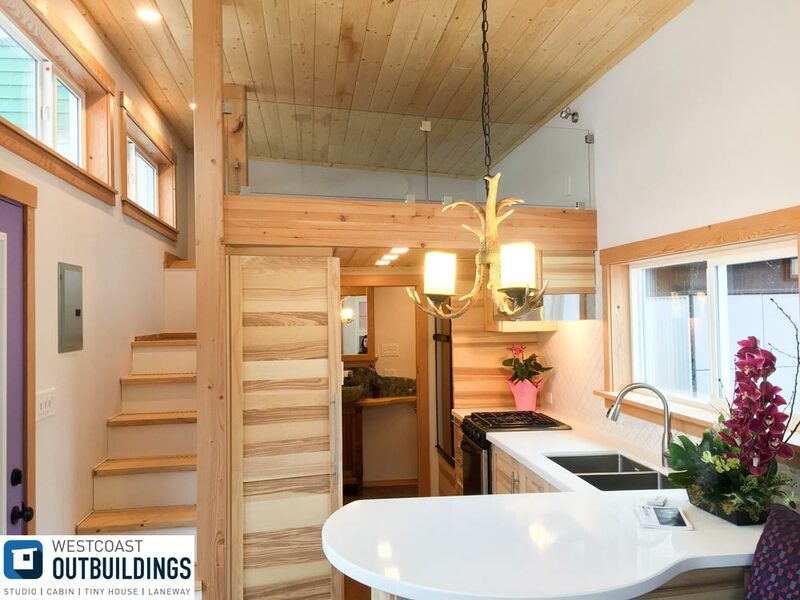 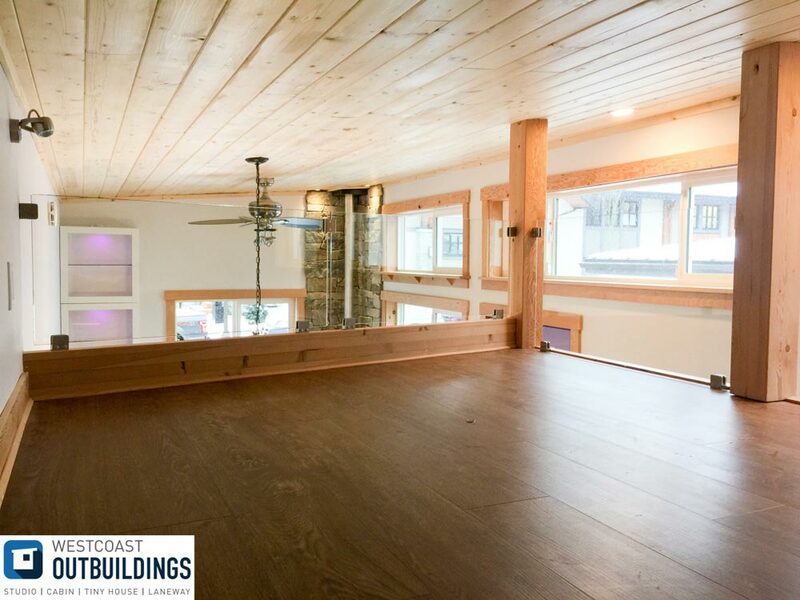 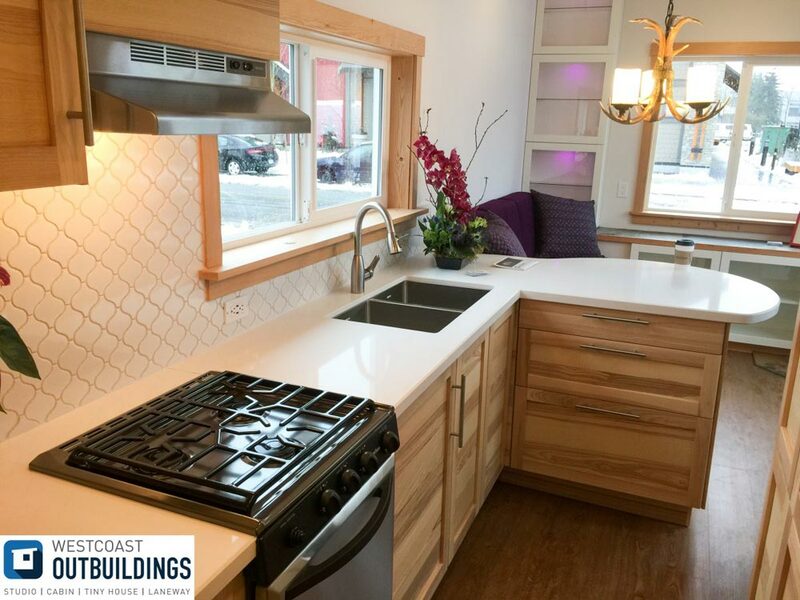 Inside the Skookum are white walls and natural wood finishes, giving the house a bright, spacious feel. 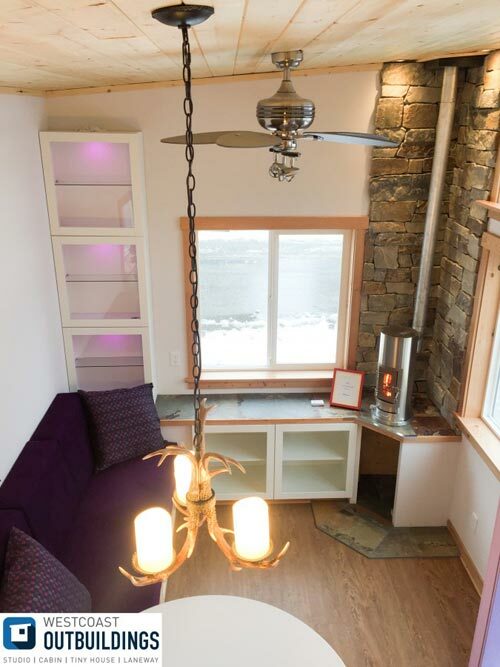 The living room has a Kimberly wood stove and day bed with storage underneath. 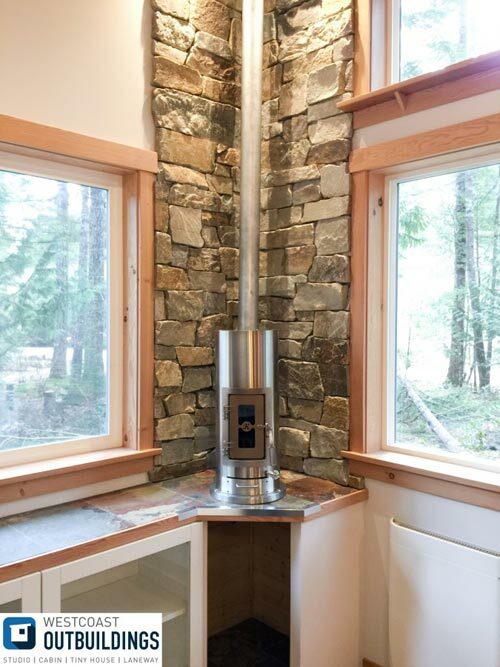 The kitchen features a large L-shaped counter, double under-mount stainless sink, dual fuel refrigerator, and a propane stove. 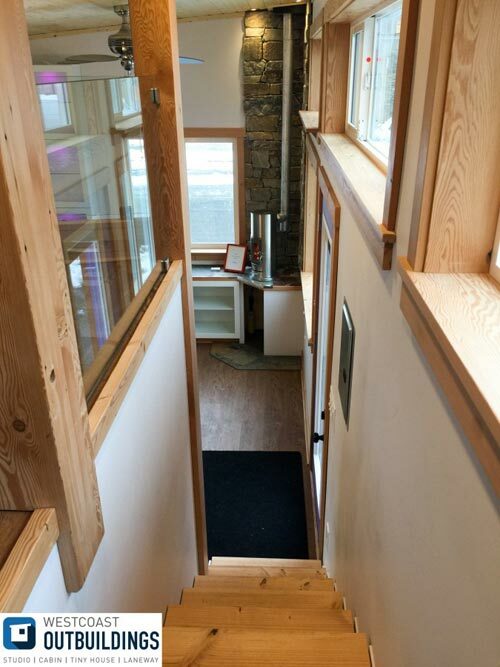 Storage stairs lead up to the king size loft w/ glass railings. 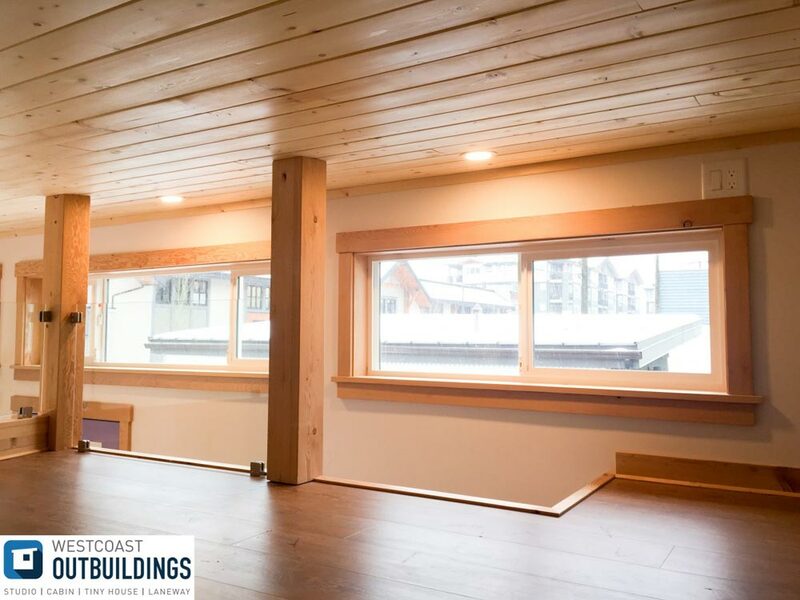 Upper windows around the loft allow for plenty of natural light. 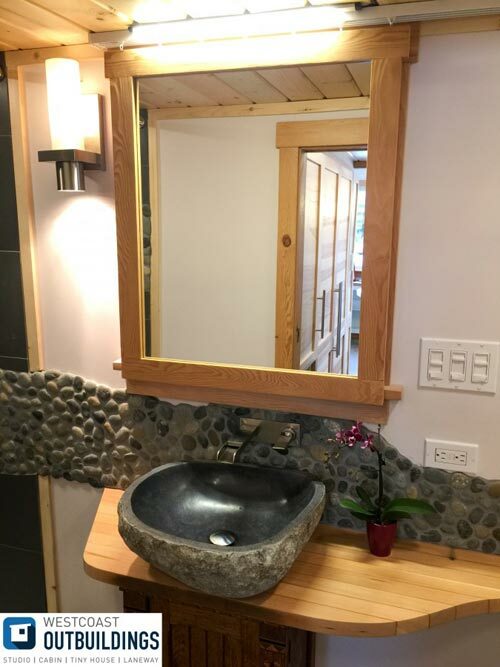 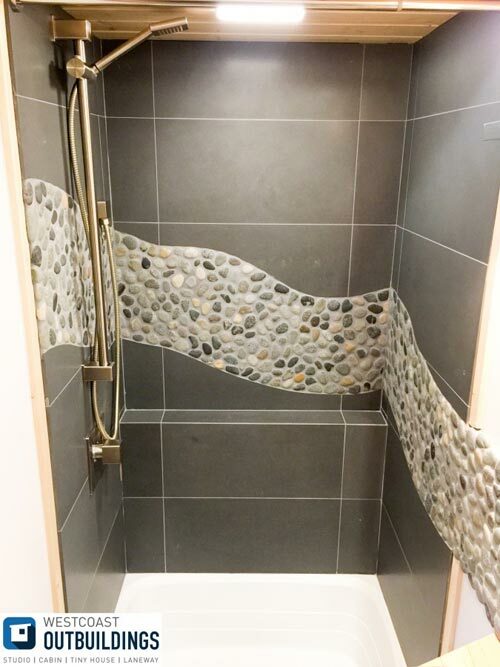 In the bathroom is a natural granite stone sink, a tile shower with river rock detail, and an Incinolet incinerating toilet. 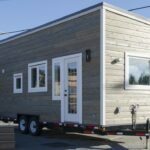 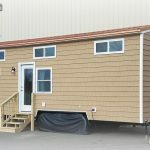 The Skookum has 240-square-feet on the main floor and 125-square-feet in the loft, totaling 365-square-feet. 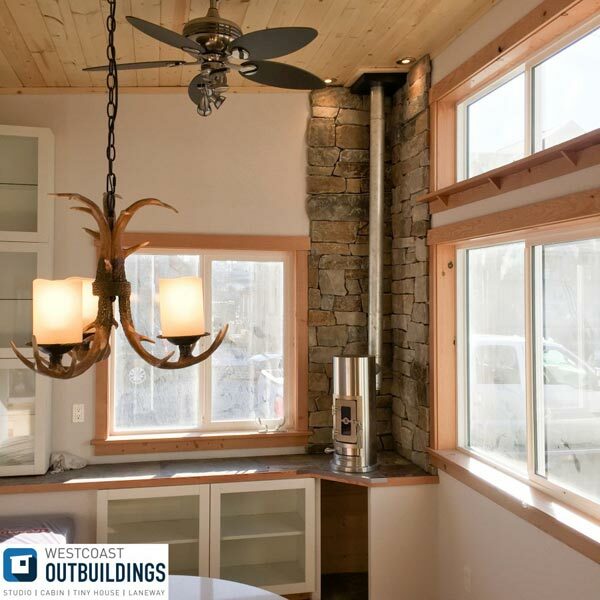 Also available from Westcoast Outbuildings: Chinook, Lillooet 24′, Lillooet 31′, Skookum 26′.